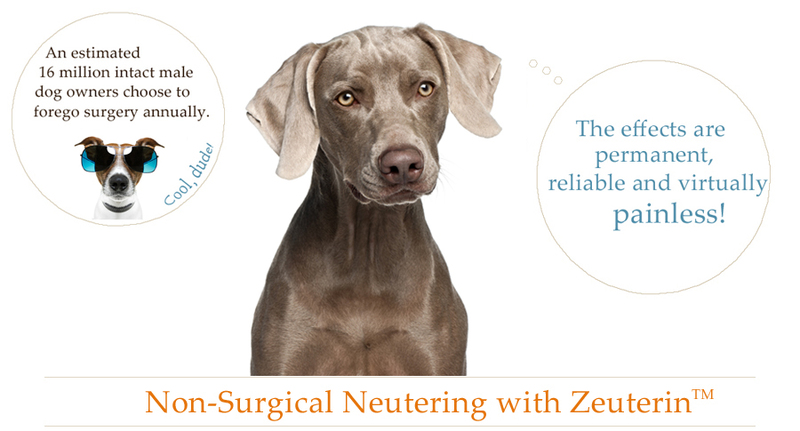 FDA Approved Zeuterin offers a safe, permanent and virtually painless procedure for male dogs 3-10 months old giving veterinarians the power to neuter male dogs with a simple injection. Non-invasive sterilization is a momentous breakthrough in the humane treatment of animals! What is Zinc Neutering? Zinc Gluconate (What is Zinc Gluconate? ) neutralized with L-Arginine (What is L-Arginine?) is the first compound ever to be approved by the FDA as safe for sterilization. It uses Zinc Gluconate (a trace element) and Arginine (an amino acid), both of which are essential for the body. In fact, they are health supplements that millions of us use every day. A specific concentration of Zinc Gluconate neutralized with Arginine creates permanent sterilization with no adverse reactions needing medical treatment nearly 99% of the time (see the question on side effects below for other minor reactions). The mechanism is so targeted and precise that in an FDA study, it virtually stopped spermatogenesis in 99.6% of young dogs 3-10 months old, rendering them sterile, while maintaining the endocrine function of the testes. Zeuterin™ is a Zinc Gluconate with L-Arginine compound that sterilizes the animals with just one injection in each testicle. The effects are permanent and reliable. And, most importantly, virtually painless. Castration, on the other hand, involves surgically removing the testicles, which can cause a host of related issues, pain being one of the many. NEWS: Indio, California Training clinic went well. Six Veterinarians were certified and 100 dogs were zeutered in 2 days with great community support! 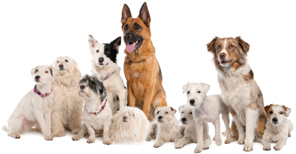 Announcing ... FDA approved permanent, non-surgical neutering for male dogs. It's a virtually painless procedure! It uses all-natural and safe ingredients! Watch a video showing a Zinc Sterilization Procedure. © 2013 - Zincneutering.com. All rights reserved.